Hello everyone.!!!!! Wow. it's been a busy week. I don't know where it went to. it's like it came and went. First, i want to share my thoughts and prayers to the childern's parents in connnecticut. There are no words to express on how truley, sorry i am for the loss of your children. you guys are in my prayers. It just makes me mad why people would go into a school and shoot inocent children/people. I am not a mother yet one day if i have kids it makes me wonder if i should homeschool them? Going to school should be a safe place for your child. you guys are in my prayers.! Well, my last day at west view was yesterday. It was a sad night. I have grown to love my paitents,co-workers, in the 5 months that i have worked there. everyone was so nice when i first started from day one it did feel like family when i was working there. which i felt was inportant at the time. So i will miss them. But, I have some of them for facebook,and phone numbers so we can still stay in touch. no more nightly walmart runs with my friend cassie. lol. Well, since i didn't get to do my friday link-ups i am going to do them for today. since i usually love doing them! so I am sorry this is late but late is better then not doing them. 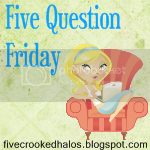 :) So first is " friday 5 questions"
My favorite thing to make is cut out cookies. infact i made some the other day for work and they were great. Well right now we have it stuck to 68. it feels good. if it gets any coolder we would turn it to 73.but its def on 68 today. 4. 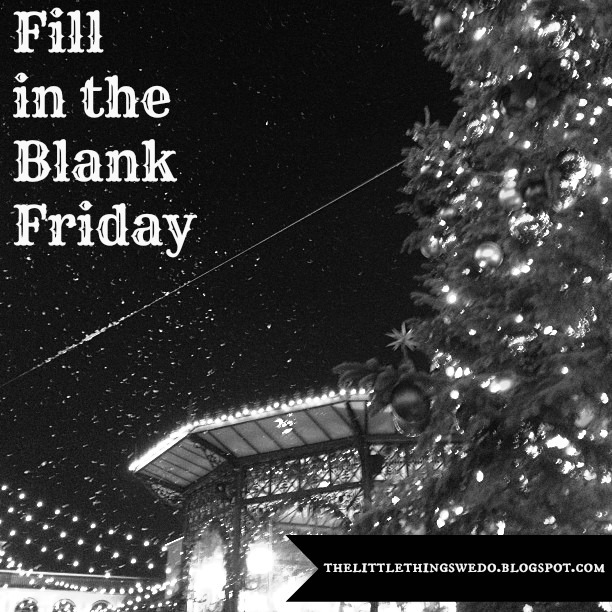 When thinking of your "Christmas to-do list" what percentage "done" are you? 0%. I am starting this thursday and friday after work. hoping to get things done. 5. Do you do the "Elf on a Shelf"? If so, is your Elf naughty and what shenanigans has he gotten into? No i don't do the Elf on a shelf.but it sounds like fun. 1. When it comes to holiday shopping, I am the last minute person and i dont buy to much. i have a budget or everyone on my list. 2. A few things on my Chritmas wish list are... a set of new pans from paula dean or rachel ray, a few winter clothes, a new purse. 3. An intangible gift I would like to receive is a day of peace and quite to myself. 4. A gift I would like to give this year is love and happniess. 5. My Christmas will be spent with my grandma at her house,my mom's and my boyfriends parents. 6. My most favorite Christmas gift of all time was a kerokee machine that i have at my parents house.its fun. 7. The best thing about the holidays is being with family and friends. So thoes were the lights that were up in town. so yea so i was making cookies the other day and found a good recipie so here it is. -In a large bowl,cream butter and sugar untill light and fluffly. Beat in eggs and vanilla. Combine flour,baking powder,and salt. gradually add to creamed mixture and mix well. Referigerate for 1 hour. or until firm. -On a lightly floured surace,roll out of dough to 1/4 inch in thickness.Cut out christmas cookie cutters your choice. -Bake at 375 degrees for 8-10 minutes or until lightly browned. Cool completly on the racks. -Decorate the cookies with frosting, candies,or sugars. Makes about 6-7 dozen. They turned out good. i like them and so did my boyfriend. i made star cookies. this is what they turned out as.